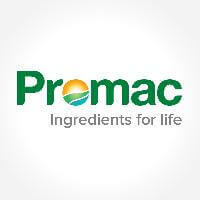 Promac Group of companies was formed with the establishment of Promac Enterprises Sdn Bhd (PE) in year 1989. Over the years, Promac has expanded its business into distributing, manufacturing, packaging and trading of dairy products and edible oil with 5 supporting subsidiaries. Since 1990, Promac has been the sole distributor in Malaysia for Fonterra (SEA) Pte Ltd in dairy ingredients from New Zealand. The company also owns the registered trademark – Promex®, a brand well known for its Instant Full Cream Milk Powder product that is widely distributed over Africa and Middle East market.